Here is a model of an RAAF V.I.P. BBJ made from my 1/72 scale limited run resin kits. The builder of this particular model is Rob. Anderson who found the kit easy to build and is extremely happy with the result. The masters for the airframe are heavily modified Heller Boeing 707 items and the engines, from a modified Heller C135FR item. The accuracy of any model is only as good as its references. 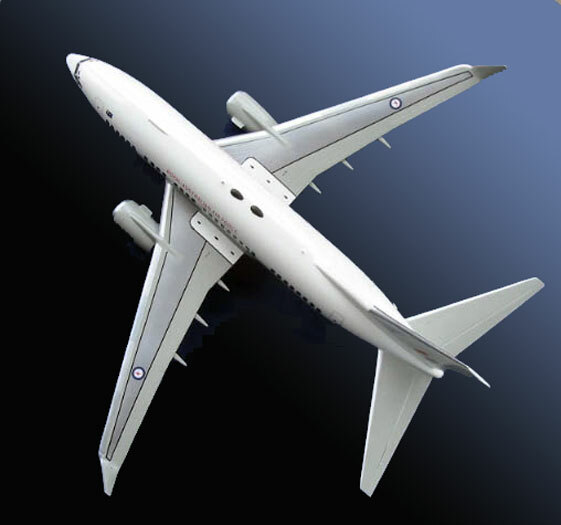 This one was based on factory sourced documentation, a large number of 'walk around' detail photographs and the knowledge of a 737 L.A.M.E. 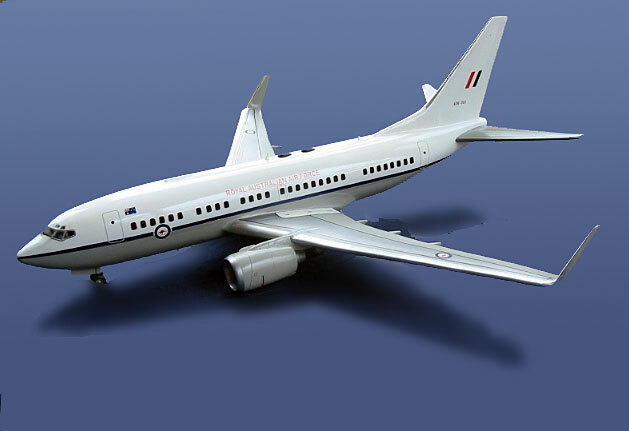 The kit will also form the basis for the forthcoming AEW Wedgetail version of the 737.